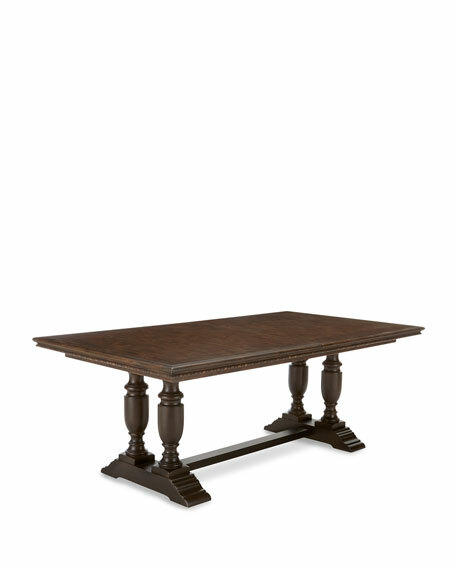 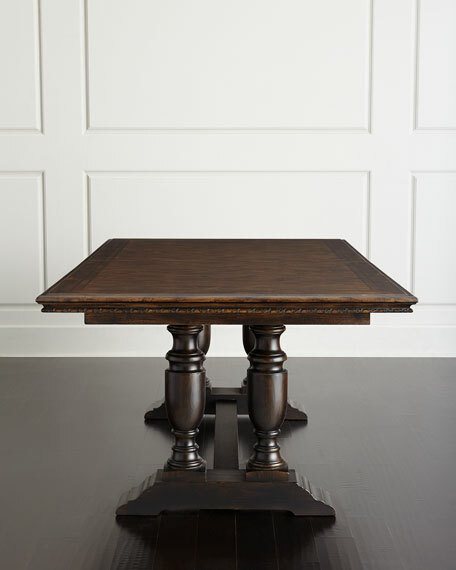 Trestle dining table with hand-planed surfaces, rub through, and subtle carving around the apron. 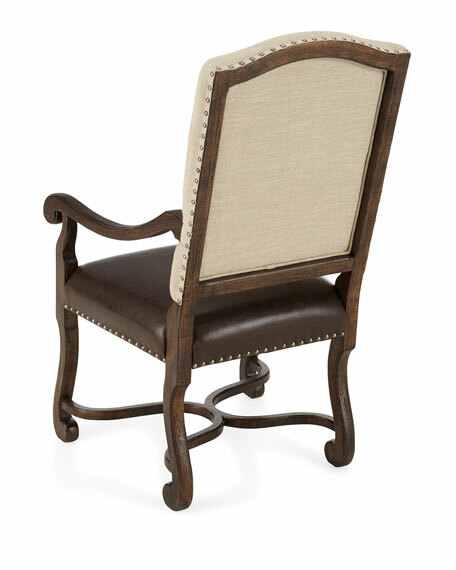 Made of spruce solids and pine veneers. 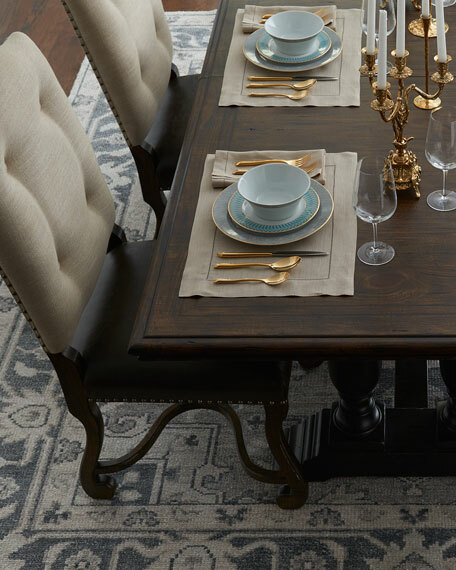 Comes with two 18" leaves. 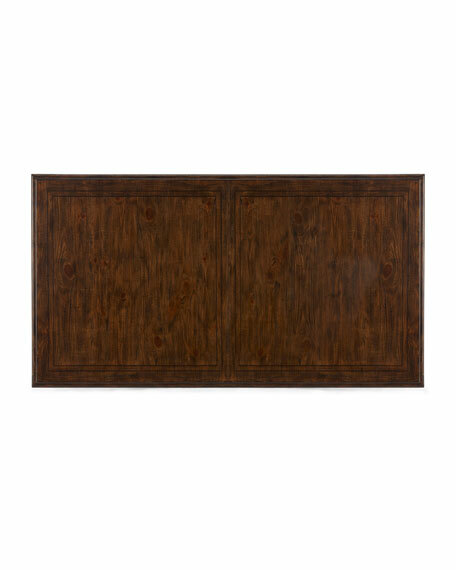 81"L x 44"W x 30.25"T; extends to 116.75" with leaves. 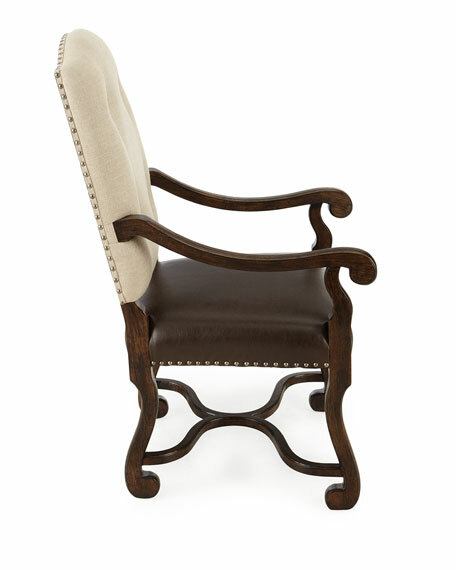 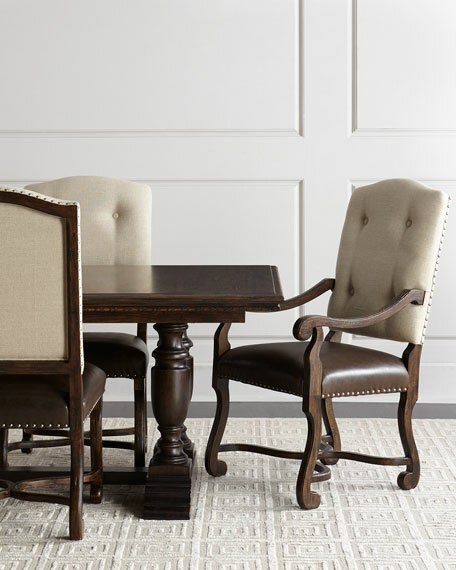 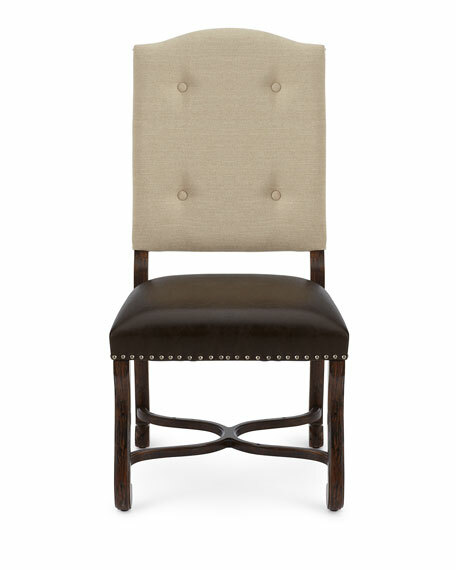 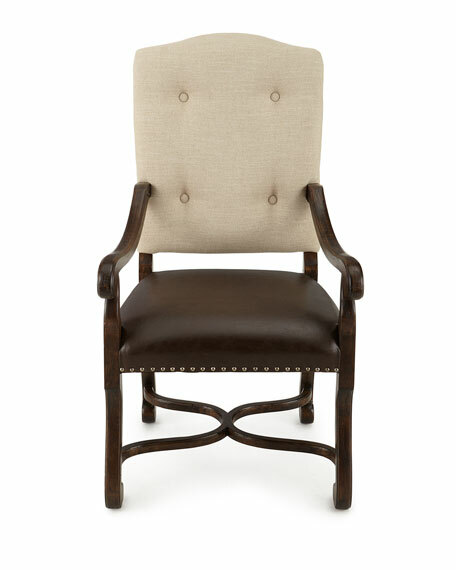 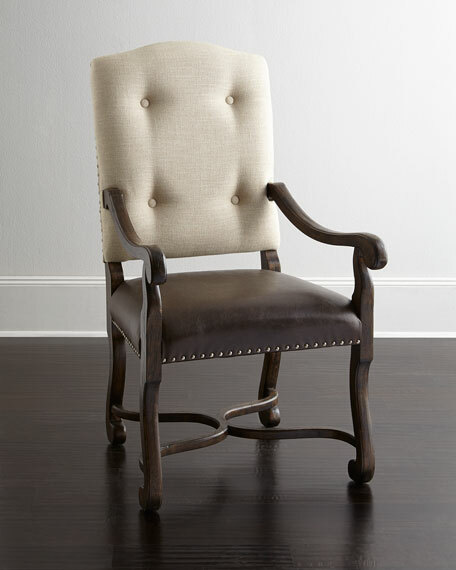 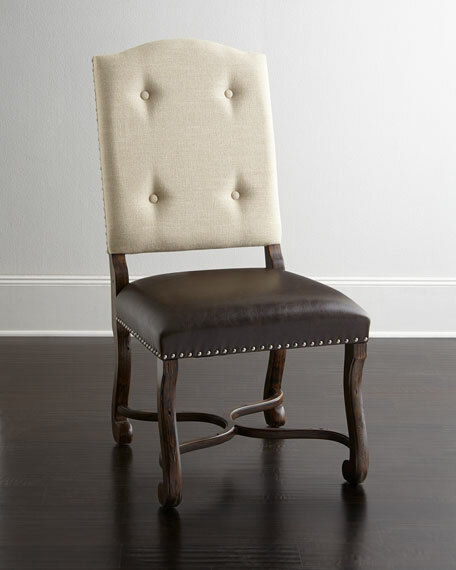 Camelback armchair with nailhead trim and button-tufted back. 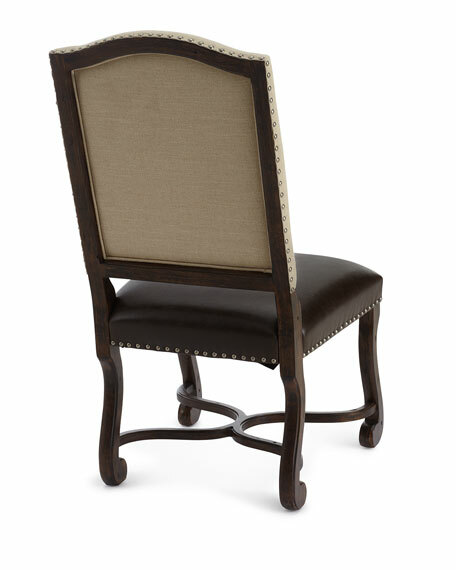 Sold in pairs; each, 24.25"W x 27.5"D x 42.75"T. Seat, 24.25"W x 20.75"D x 19"T; arms, 25.375"T.
Boxed weight, approximately 66.2 lbs.